Spearmint Green for that minty kind of look. Ideal for peppermint themes. Spearmint Green to give varying shades of green depending on how much you add. 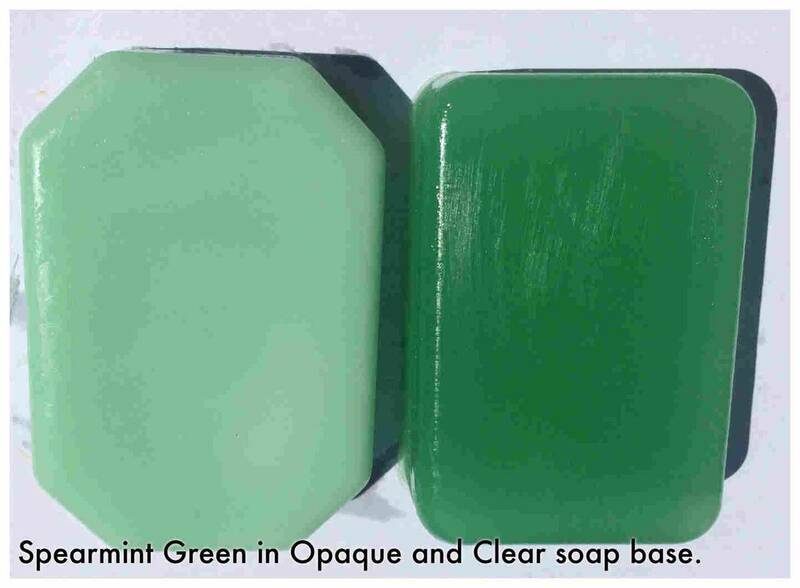 Ideal for peppermint themed melt and pour soaps and bath bombs. It can easily be mixed with other water based dyes to create variations and our picture shows the different results in opaque and clear bases.